You may download a printable copy of In Light Of The Cross Bible Study Guides- NLT here. Why it is important to know the truth about love and obedience: The obedience of faith demonstrates the power of Christ to transform lives, and therefore strengthens Christian witness. Why it is important to know the truth about love and obedience in light of the cross: “It is not the fear of punishment, or the hope of everlasting reward, that leads the disciples of Christ to follow Him. They behold the Saviour’s matchless love, revealed throughout His pilgrimage on earth, from the manger of Bethlehem to Calvary’s cross, and the sight of Him attracts, it softens and subdues the soul. Love awakens in the heart of the beholders. They hear His voice, and they follow Him.” –Desire of Ages, Page 480. What are God’s people to walk in? What warning is given about some Christians? What will some last day Christians do? Does faith abolish the law? Faith without works is what? Note: If a child who can’t swim has faith in their father they will jump in the pool when the father says, “jump in and I will catch you.” If the child does not have faith in their father, they will not obey. Likewise we show our faith by our good deeds and obedience. I will not lie on my tax returns because I have faith God will provide for me. I obey Him because I have faith. If I disobey Him, that shows Him I don’t really have faith. Is more required than “lip service”? Who is fooled and who is blessed? What did Jesus say we must do? 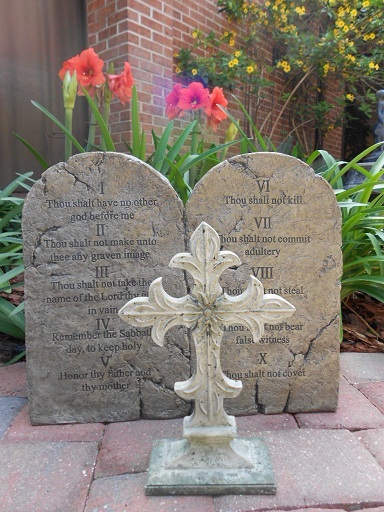 What happens if we break even one commandment? Who are the wise and who are the foolish? Wonderful! Simple English language, bringing bible truths home. Thanks for the link. I will appreciate more.